Here we will introduce various solutions to achieve high-sophisticated / high-performance PC – based motion control using INtime / INplc applications. EtherCAT® is a world wide next generation fieldbus to achieve ultra – fast real time communication in Ethernet environment. 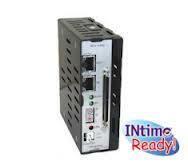 You can use it without adding I/F boards since INtime can do real time control with PC internal Ethernet controllers. 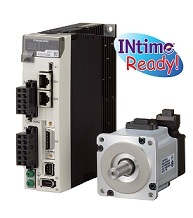 Product Overview EtherCAT motion library available by INtime. You can achieve EtherCAT motion control by combiningwith EtherCAT master for INtime "RSI-ECAT". · The interfaces of INtime are ready. · Sample source codes of operation software and Track Precision Analysis Tool are attached. Product Overview Hivertec Inc has 30-year-long history in hardware motion control fields. It is a Software motion control product. It is controlled by motion control functions based on “Function Blocks for Motion Control”. · You can use interfaces for INtime / INplc. · You can exchange data with Windows applications using shared memory. Product Overview The slave side creates / processes information Of position and speed. 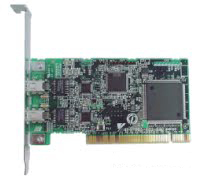 It is a high-speed / low-load EtherCAT motion Slave. Product Overview Regarding the Servo Motor Slave Unit, checking operation has been done using INtime+RSI-ECAT. · Correspond to Setup Support Software "PANATERM"
MECHATROLINK is time-proven, superior (especially in motion control fields) specifications which are domestic open field networks. You can choose various slave instruments such as Servo Drives, Stepping Motor Drives flexibly so that you can achieve wire-saving. Master I/F boards and INtime Drivers are provided. Product Overview It is a MECHATROLINK motion library available for INtime. You can achieve MECHATROLINK motion control by combining with a MECHATROLINK-Ⅲ expansion board "NT-112". · The interfaces of INtime. SSCNETⅢ/H is a motion network which enables you to configure high-efficiency servo systems adopting tow-way 150Mbps of communication velocity and data frame architecture for servo systems. It can correspond flexibly to wide-scale systems with long distance wiring since the communication quality is quite high by improving noise proof property with optical fibers. The API libraries for INtime and a position board have been prepared so that you can achieve positioning so easily. ※API libraries available for INtime are provided optionally. 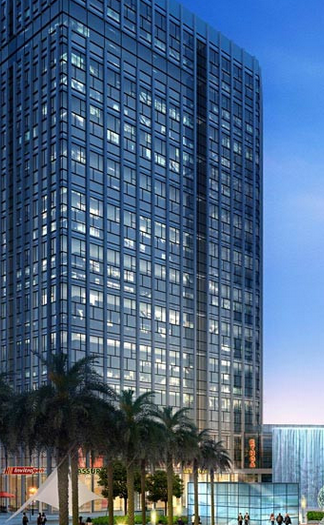 Please inquire to Sales contact of Mitsubishi Electric Corporation for more details. · Supplied with support tools for unit test / debugging using graphs and monitors before creating user programs. · You can create programs with event-driven methods using interrupt like "in position". · Sample programs are ready such as parameter settings, SSCNET communication start, operation. Product Overview You can achieve a high-response servo control using by SSCNETⅢ/H collaborated with PC where INtime is loaded. · Real time performance can be assured for position control system or SSCNET communication control since the position board processes. · Interface Mode which enables customers achieve their own motion control (creating commands for position・velocity・torque) by SSCNETⅢ/H is loaded as standard equipment. 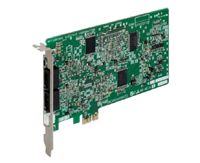 Motion Control Boards corresponding to PCI are boards which implements motion control LSI for controlling multi axes and they are used inserting into PCI slots. These expansion boards are connected with multi motor drivers by each maker so as to Control Servo Motor and Stepping Motor. Since they have high- intelligence, so it enables you to lighten your burden on development phases.